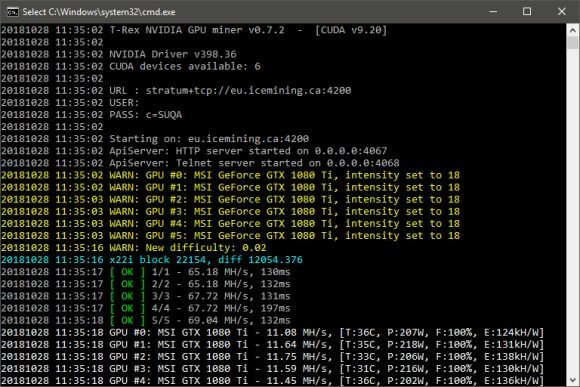 The latest version 0.7.2 for the T-Rex Nvidia GPU miner brings support for the new X22i mining algorithm used by the SUQA project. The even better news, besides the fact that another miner supports this new algorithm is that T-Rex 0.7.2 provides up to about 40% faster performance for X22i compared to the latest zjazz Nvidia miner that was previously the fastest in terms of hashrate. The SUQA coin has just reached its first planned block reward halving, so gaining some extra performance boost might be just what you need to keep things profitable on the longer term. 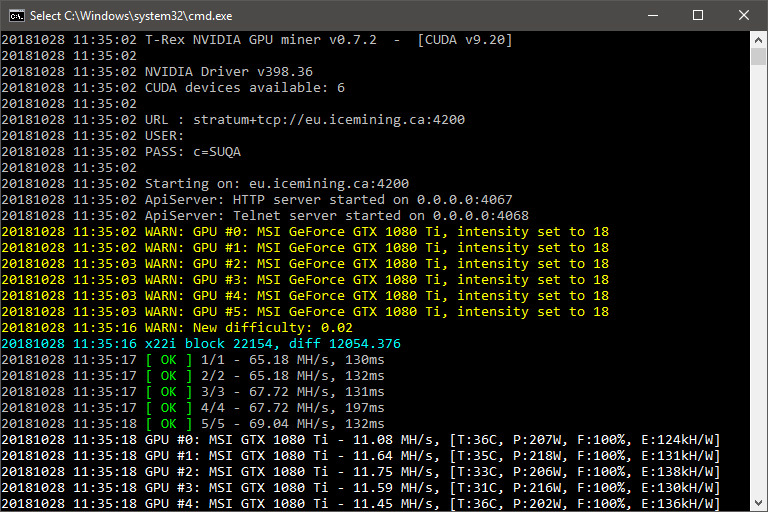 If you are mining SUQA on Nvidia GPUs, then it would be a wise idea to update from zjazz to the latest T-rex and continue mining it with significantly higher hashrate. If you are having stability issues with X22i mining you might try to decrease your overclock or play with the power limiter until you have the mining rig stable. Do note that the T-Rex is a closed source miner with 1% development fee built-in. Also make sure you have a recent video driver installed (the latest for CUDA 10 support) as the binaries for both Linux and Windows are compiled for CUDA 9.1/9.2/10.0.